Harper Cosby, bass; Larance Marable, drums; Robert Collier, congas. Wardell Gray had a group that was playing a club in Los Angeles in January of 1952. Jack Andrews recorded the group for Prestige and the resulting music was released on a 10-inch LP entitled Wardell Gray and the Los Angeles All Stars. 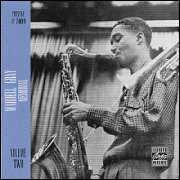 All of the music from that date as well as two earlier sessions from 1950, one in Detroit, and a live recording from the Hula Hut Club in Los Angeles with Dexter Gordon, were eventually released on the Original Jazz Classics CD Wardell Gray Memorial, Volume 2. A studio recording from January 1952 for Prestige finds Gray contributing an outstanding performance on "Sweet and Lovely." Gray is the only soloist on this and "Lover Man," but elsewhere he shares the spotlight with two exceptional sidemen: trumpeter Art Farmer and pianist Hampton Hawes . 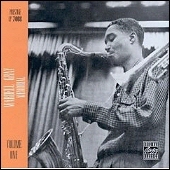 . . Art Farmer's contribution on the Gray session is expecially noteworthy. His clean articulation and assured tone foreshadow Clifford Brown's work of a short time later.